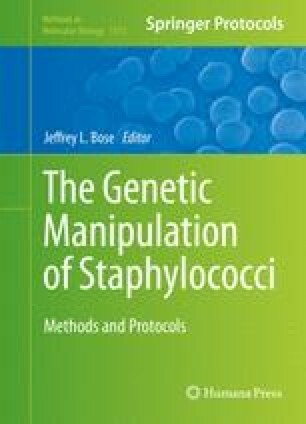 Genetic manipulation is a powerful approach to study fundamental aspects of bacterial physiology, metabolism, and pathogenesis. Most Staphylococcus aureus strains are remarkably difficult to genetically manipulate as they possess strong host defense mechanisms that protect bacteria from cellular invasion by foreign DNA. In S. aureus these bacterial “immunity” mechanisms against invading genomes are mainly associated with restriction–modification systems. To date, prokaryotic restriction–modification systems are classified into four different types (Type I–IV), all of which have been found in the sequenced S. aureus genomes. This chapter describes the roles, classification, mechanisms of action of different types of restriction–modification systems and the recent advances in the biology of restriction and modification in S. aureus.